When I was a kid, I was a picky eater, used to hate most of the vegetables, but always loved beets. Mom would make stir fry with beets, I would have it with yogurt rice, really loved to see how the color of the rice changes when mixed with beets. Now my daughter, loves yogurt rice and beets combination and she calls it pink rice. You add that beet to anything, it gets the color of beet and the dish becomes colorful. Beetroot paratha, beet cake, beet soup, beet halwa, beets salad etc., etc., For the day 3 of the blogging marathon I made roasted beets Salad with Walnuts. To Roast the beet- Wash the beet and dry it. then drizzle some oil and salt and then cover it with silver foil. Preheat the oven to 425 F and Roast it for 45 min, till it is tender. The time taken for roasting varies depending on the size of the beets.The smaller the beet, lesser the time it takes. After roasting the beet, let it cool and peel its skin and dice it. Then prepare the dressing by mixing olive oil, Lemon juice, salt, cumin and pepper powders. 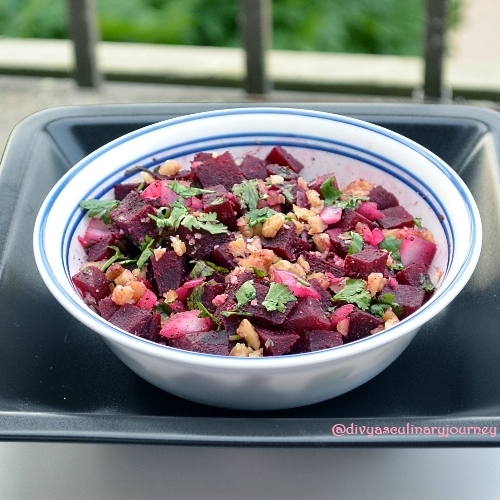 Then mix the beets, chopped onions, cilantro and dressing and toss them along with walnuts. Ready to serve. It serves 2. I usually boil the beets.. does it taste different when you roast them ? I usually boil too. This is the first time I tried this method and I absolutely love it. Its so flavorful compared to boiling. Do try this way. Nice salad Divya! You are right about the color, beets share their color liberal with it it's companions. Looks very colourful and delicious!!!! Healthy, colorful and yummy one. 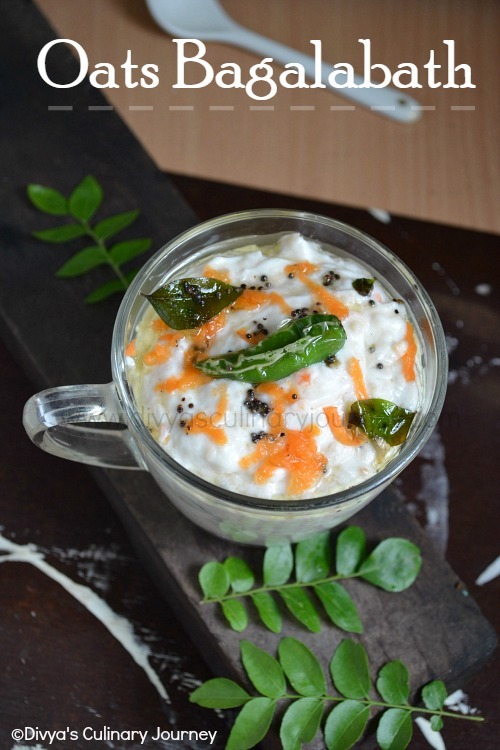 Yeah I too love it when curd rice takes in that pinky pink shade of beets. Lovely salad. very colorful.. i like to have beetroot fry with sambar rice..
That's enlightening Divya.I too boil them so far.lemme try and see.Thanks. Colorful and very healthy salad. Super colourful and definitely healthy..wonderful bowl. Salad looks colorful and great! My kiddos love to eat beetroot with plain rice, I'm sure most of the kids love beets in any form and this salad looks so healthy and I'm sure its a crowd pleaser too. Superb preparation and presentation, keep it up dear. 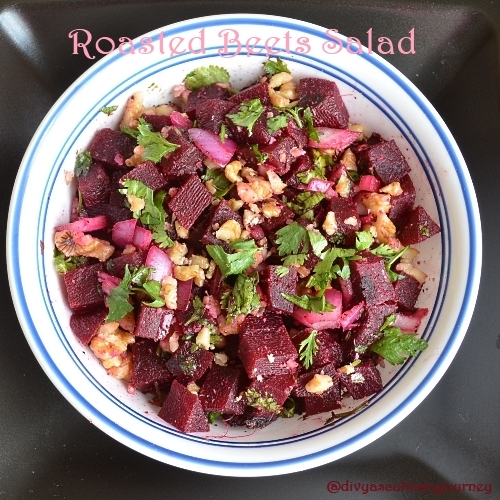 never tried roasting beet roots..must try it...the salad looks wonderful..book marked!..